There are so many decisions to be made when buying a car. We all want the most value for the least money, as well as the best deal. First you need to have an idea of what kind of vehicle you are looking for. Do you want something small in space and great on gas, or are you looking for something with more room for travel and companion. If you are shopping for a used car in the Jackson MS area then I have some insight for you. If you have shopped for a used car you already know the process brings on a unique set of anxieties. Although quality, appearance, and cost play a big role in the decision, the concern comes from the unknown, what previous care was given, service history, any accidents, number of owners, you get the idea. 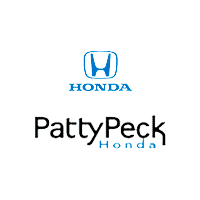 At Patty Peck Honda, we have a wide variety of used vehicles. We have all types of makes and models, so you’ll surely find what you’re looking for. We have something for everyone! Honda has just upped the savings for a limited time by offering our customers special financing on all Honda Certified Used Accord Sedans, Accord Coupes and Accord Crosstours. Great news for those shopping for a used Honda car, SUV, MiniVan or Truck. In an effort to improve access to information as vehicle ownership changes hands Honda is providing details about Honda and Acura vehicles with open recalls to Carfax.